Knowing the difference between sponsored and unsponsored results is helpful for kids trying to navigate the web. Even with personalized search results disabled and such tools as PageRank and the Bing Best Match system in place, children may not realize that some results in response to their search queries actually appear because the site owners have paid an advertising fee, not because they’re the most relevant results for that search. Just like it’s smart to help kids identify advertising content on websites they visit, helping your children see the difference between paid and unpaid search results can help them determine the most useful information for their projects, papers, and other search purposes. On Google search results pages, topically related paid links appear on the right side of the search results page but also at the top of the list of search results. Depending on the search query, shopping results may also appear within the search results or sidebar without the user first selecting the shopping search filter. These shopping results sometimes appear because of sponsored content. 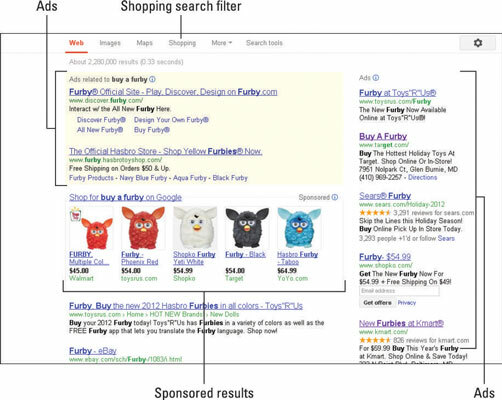 All paid search results on Google are clearly labeled as either sponsored or as an ad, making it much easier for parents to help kids distinguish between organic search results and results that appear as a paid advertisement. Organic search results are those that appear because of the Google PageRank and Bing Best Match systems. These organic searches provide the user with the most relevant links in response to the user search. Paid and sponsored results appear only because an advertising fee was paid to the search engine. These results may not be relevant, and they exist with the purpose of self-promotion, so they may not be as useful as the organic searches and may also take you to offers and solicitations rather than information. 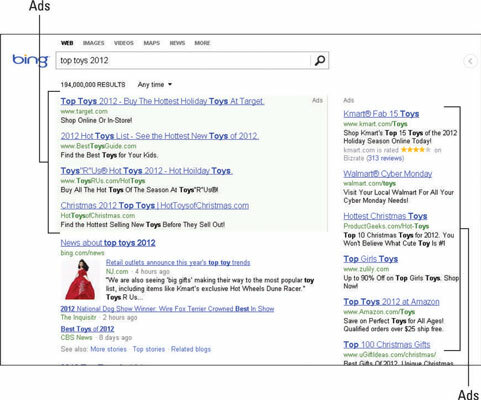 Similarly, when searching Bing, paid search results also appear above and to the right of organic search results. All paid links on Bing are clearly marked with the word Ads. Google allows users to change advertising personalization settings. If you’re signed in to your Google account when searching the web through Google, you will be provided with ads based on your account history. 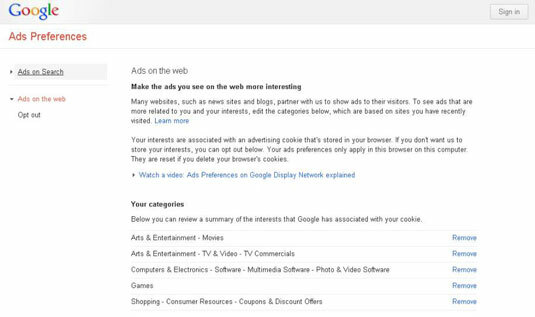 Even if you sign out of your Google account before searching, you will be shown ads that Google believes are relevant to you based on page content or search terms. Click the Ads on Search link from the left sidebar. Click the Opt Out link from the left sidebar. Under the Opt Out section (center of the page), click the Opt Out button.